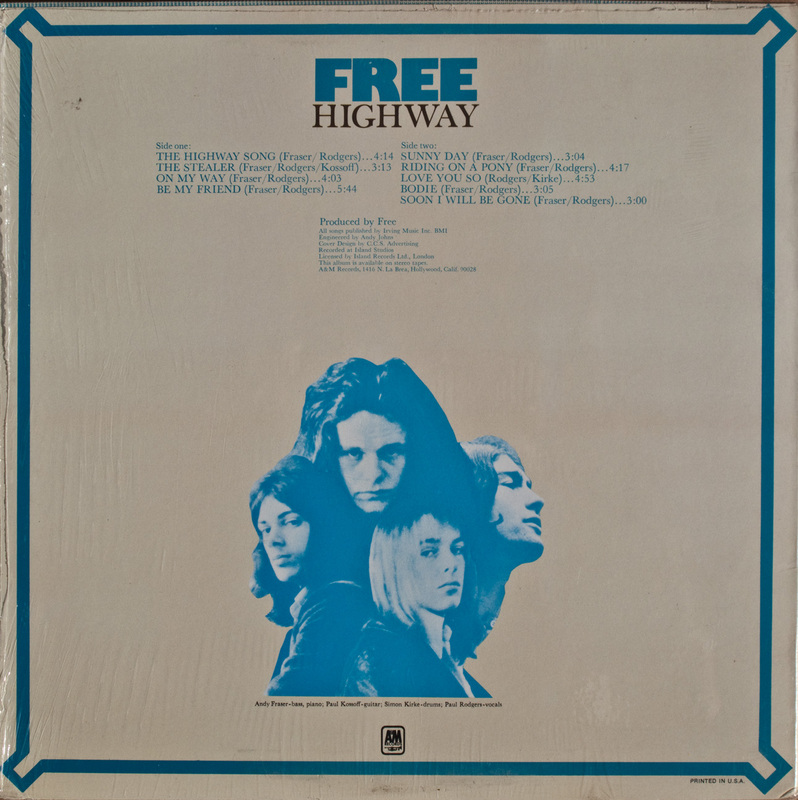 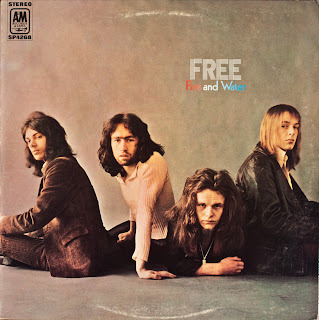 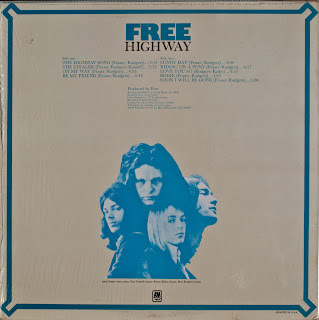 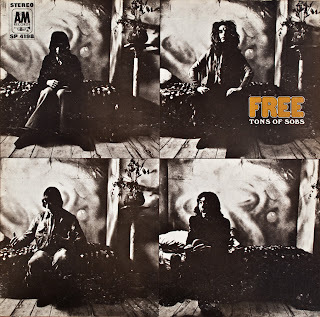 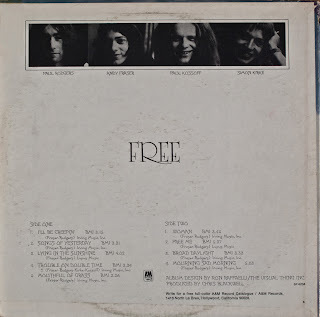 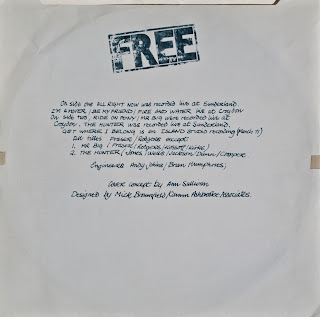 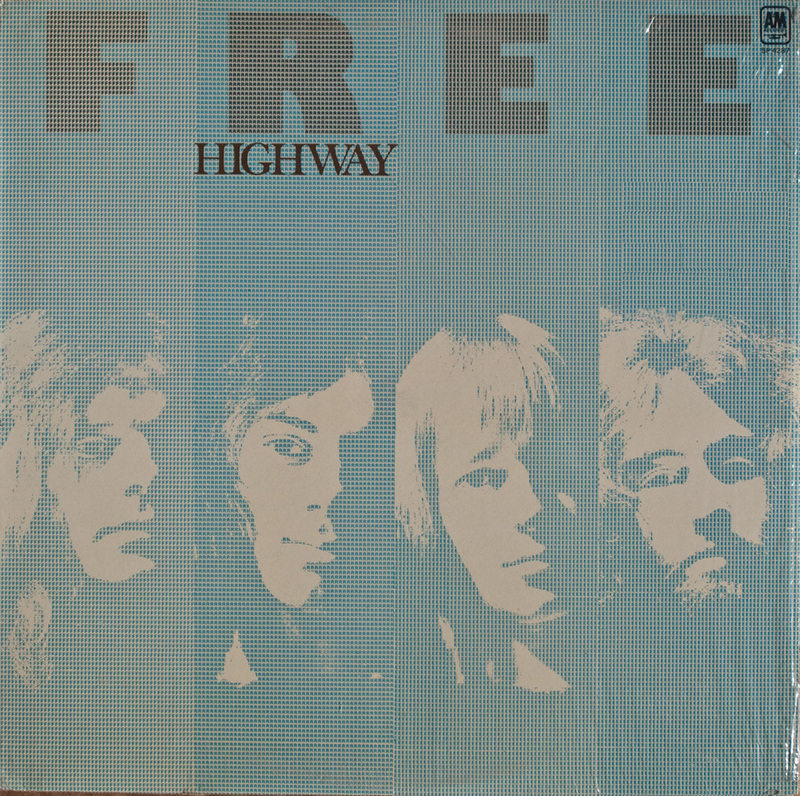 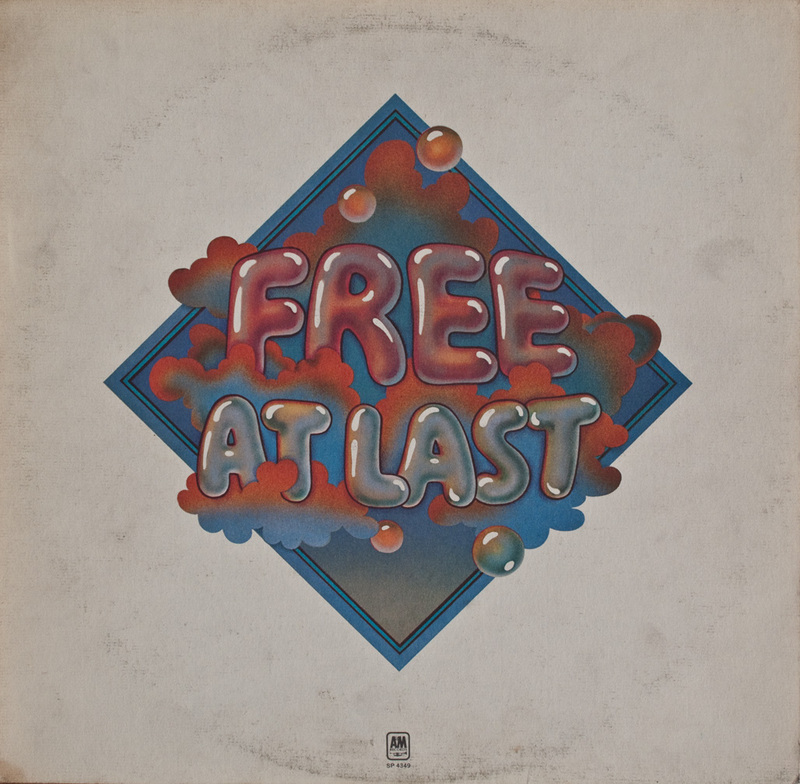 FREE were formed in 1968 by Paul Kossoff and Simon Kirke, who were in a band called, Black Cat Bones. 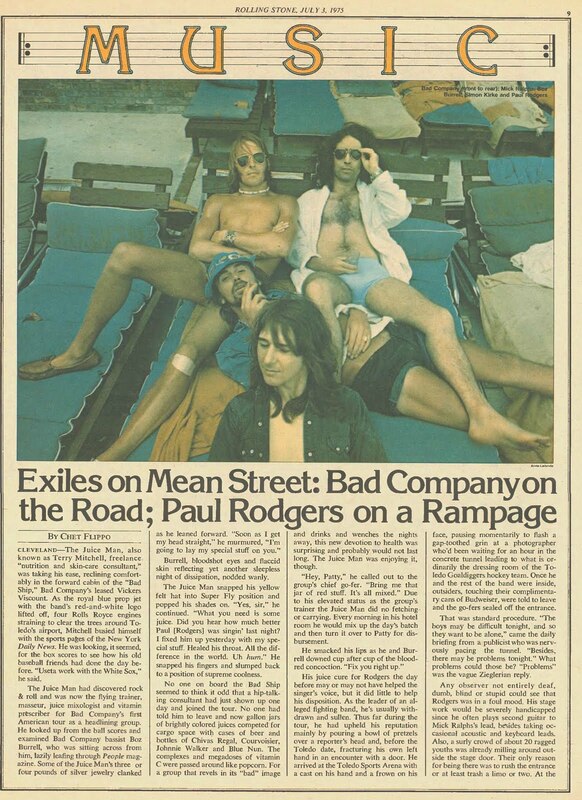 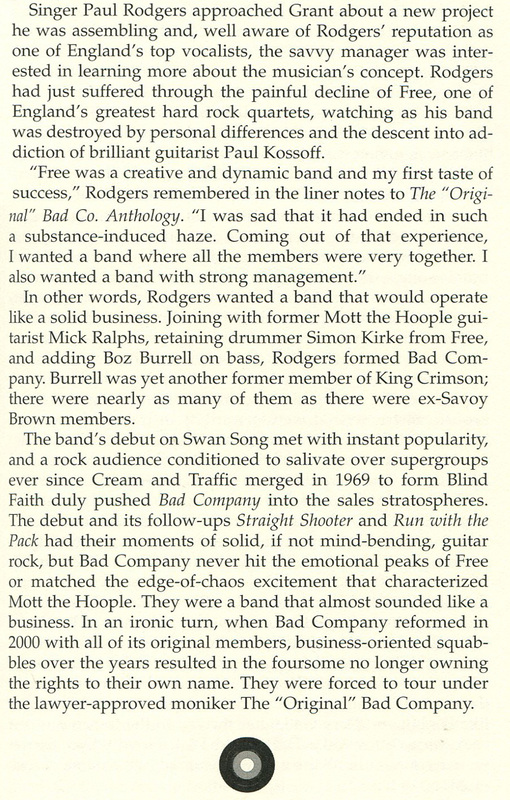 They met Paul Rogers, who was in a band called Brown Sugar, and asked him to join them to form a new band. 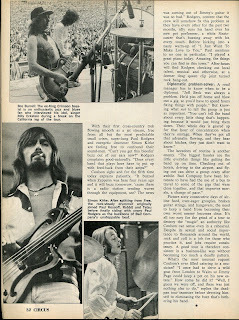 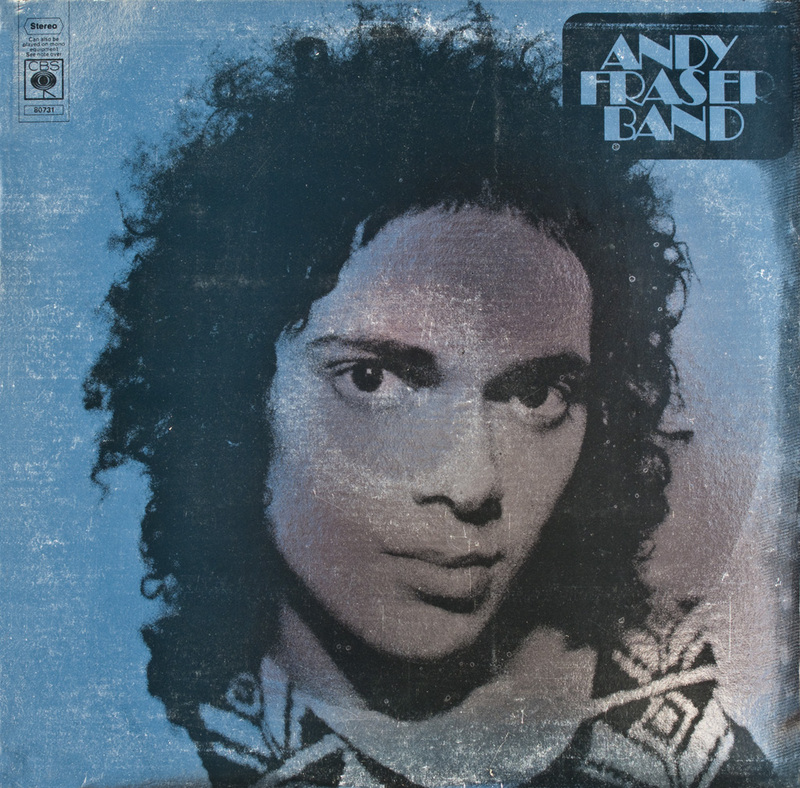 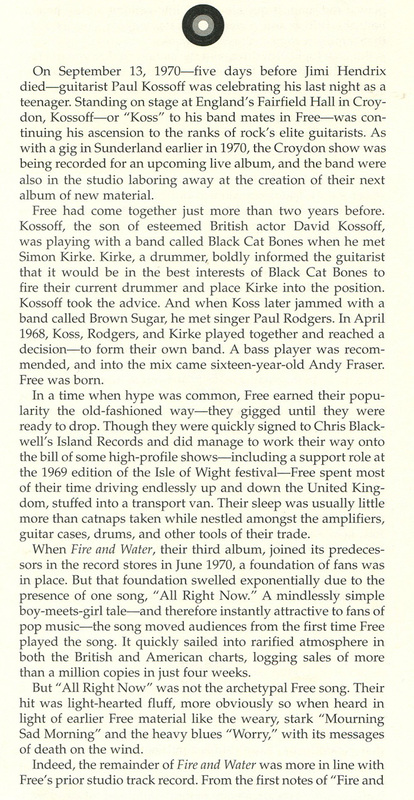 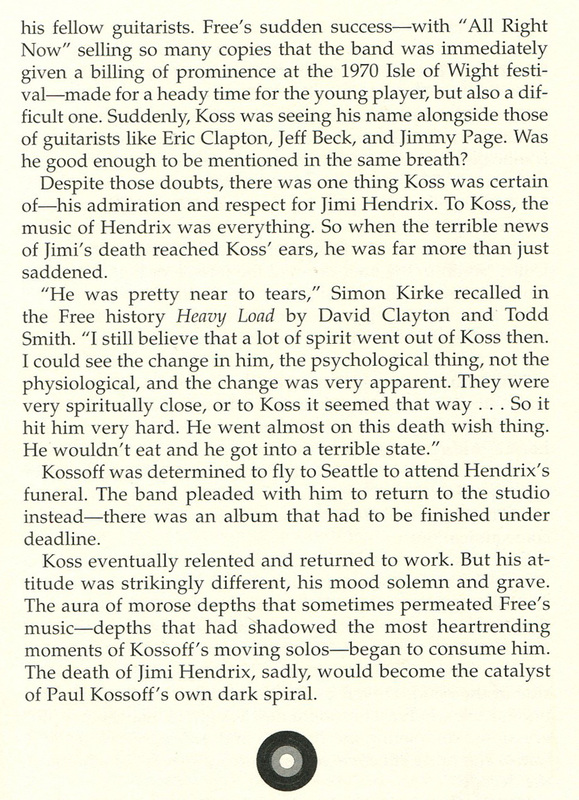 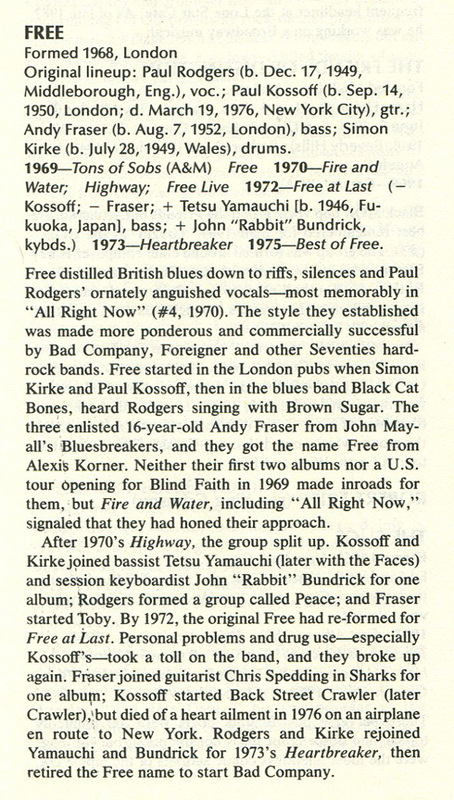 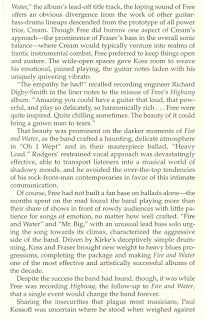 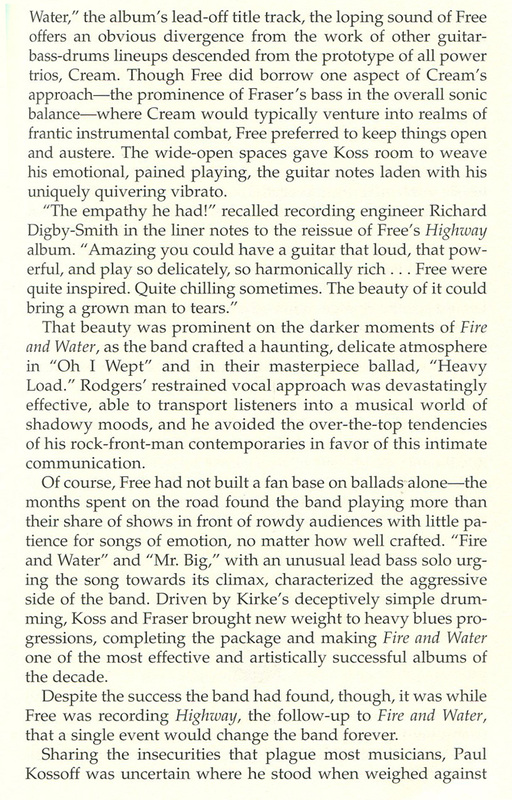 Blues musician, Alexis Kornor, suggested Andy Fraser as a bass player. 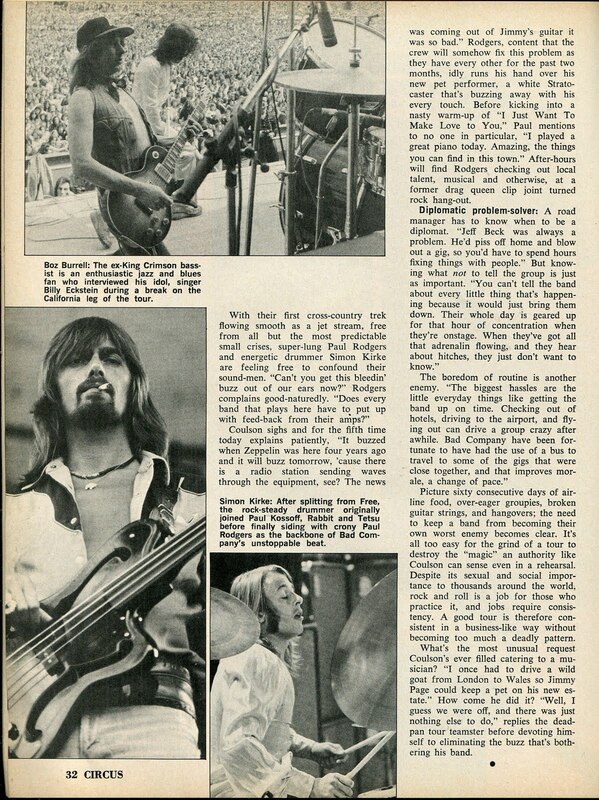 He was only 15 but had already played with John Mayall's Blue's Breakers. 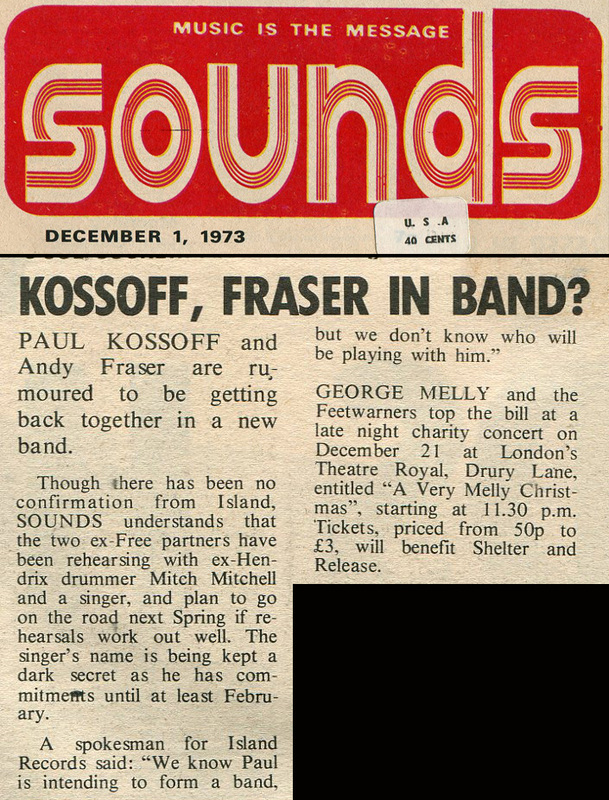 The band's name is believed to have been suggested by Kornor. 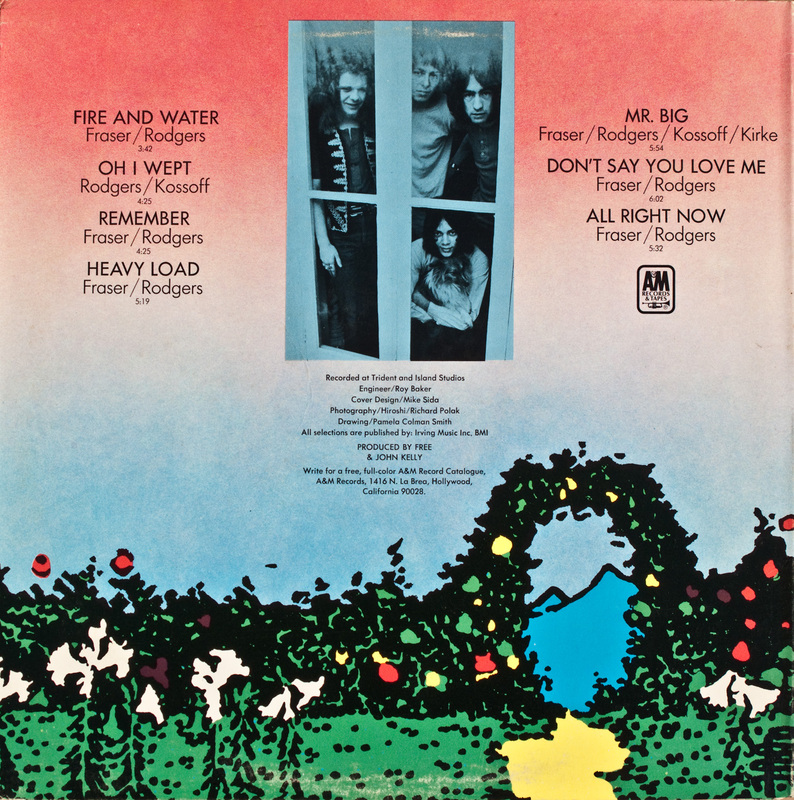 Their first two albums went unnoticed, but on their third album, "Fire and Water", they hit it big with the song, "All Right Now". 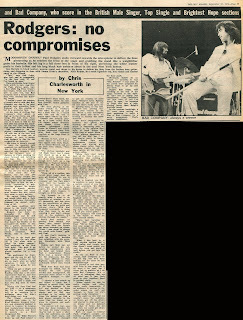 Upon that success they decided to split. They reformed and recorded "Highway". They split again and reformed to record two more studio albums, "Free At Last" and "Heartbreaker". 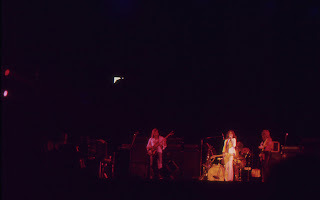 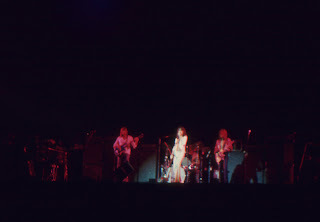 The last album was recorded with original members and new members. 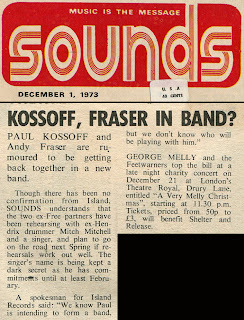 This time their split was final. 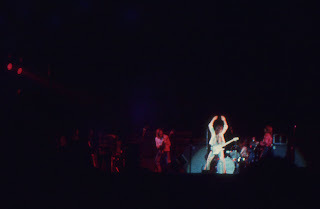 Andy Fraser formed The Sharks, then The Andy Fraser Band. 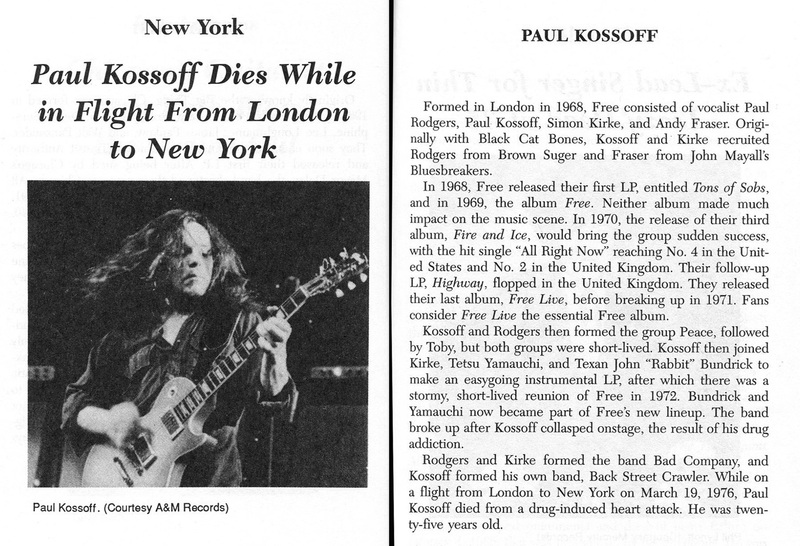 Later on he had great success as a song writer for others. 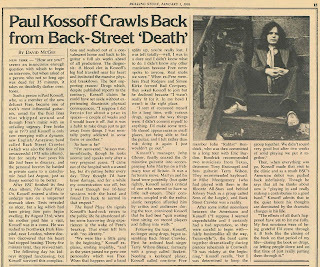 Paul Kossoff recorded a solo album, "Back Street Crawler", then formed a new band under that name. 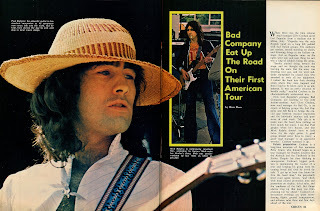 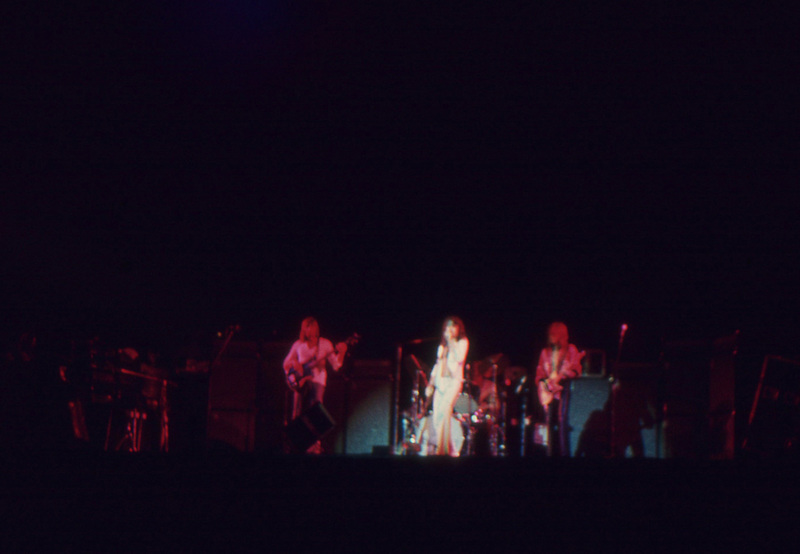 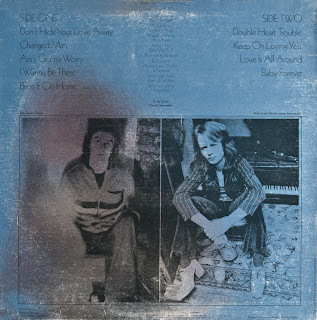 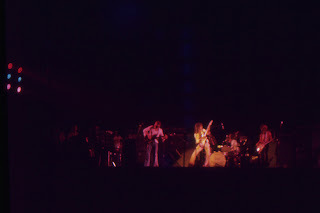 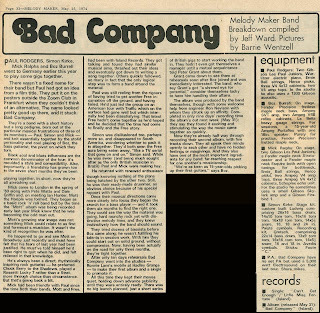 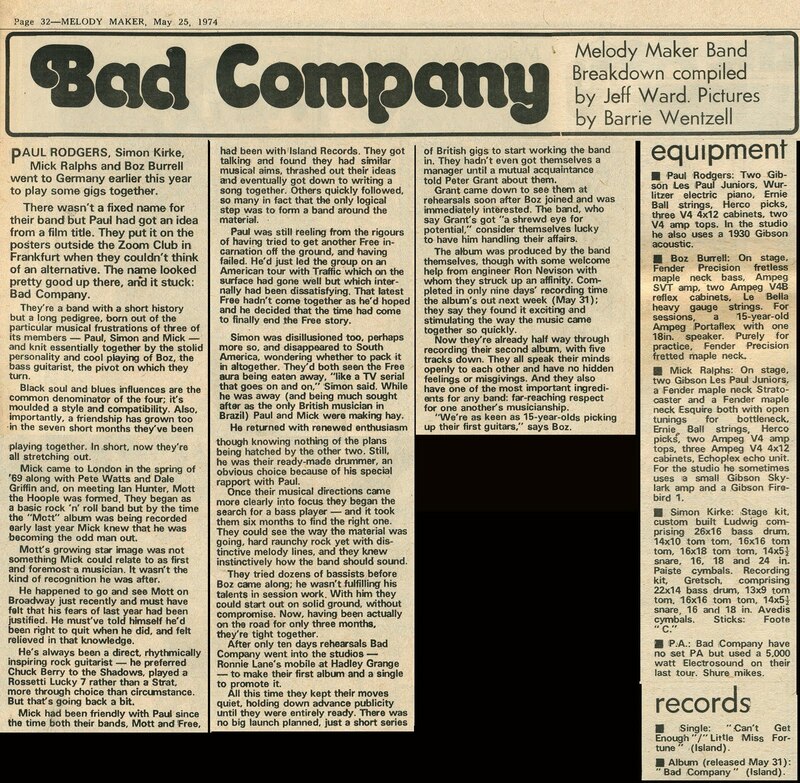 Paul Rogers and Simon Kirke formed Bad Company and were the first group on Led Zeppelin's new label, "Swan Song". Paul Kossoff died in March 1976 from health problems related to drug abuse. 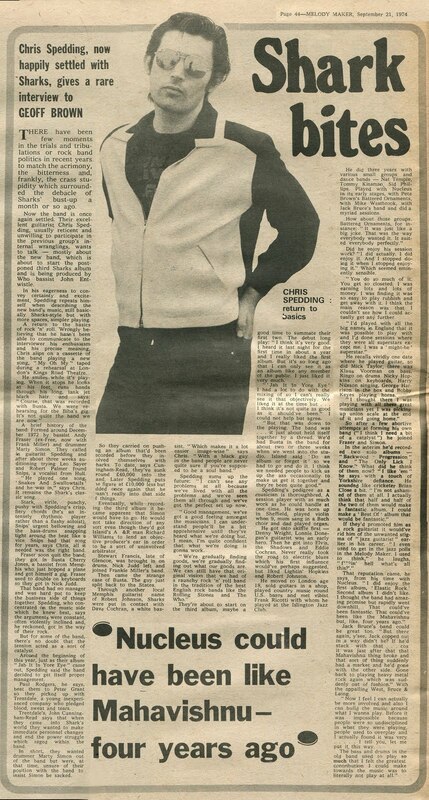 Mike Clifford. 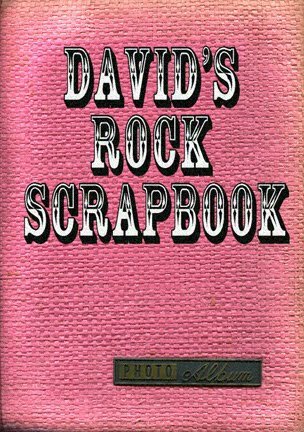 © Salamander Books 1986.
their next move began to surface. 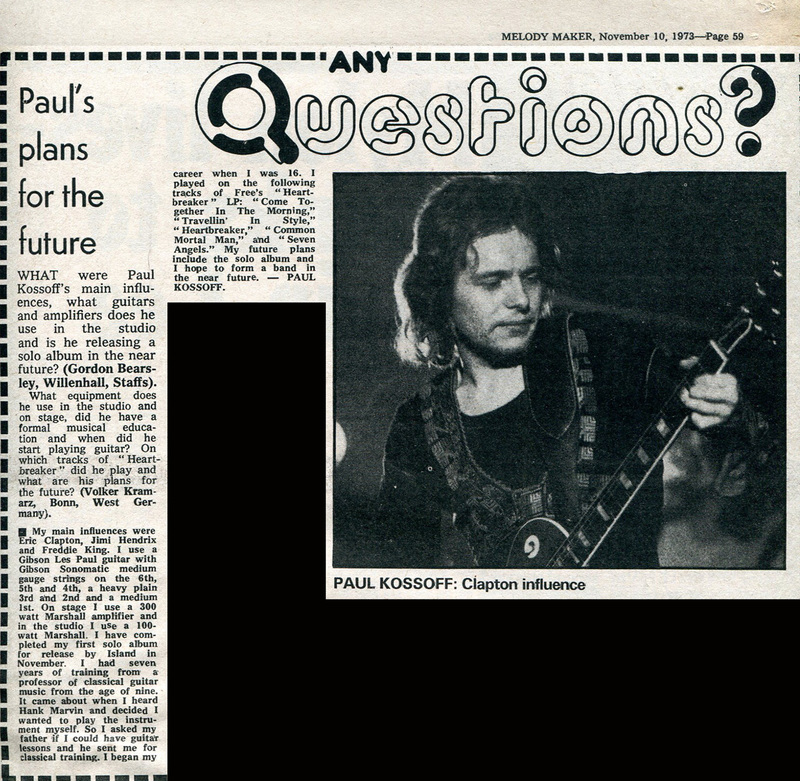 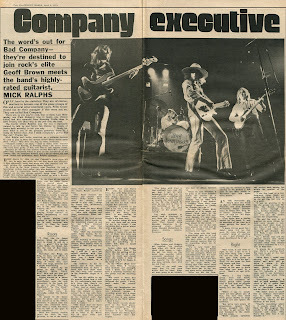 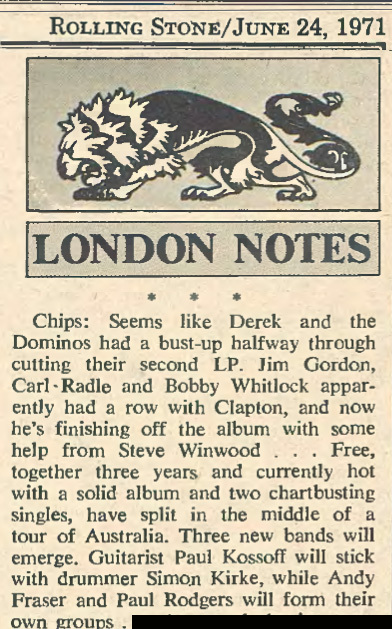 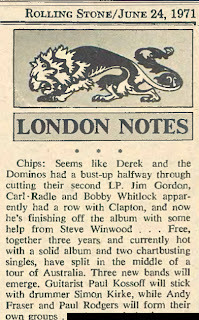 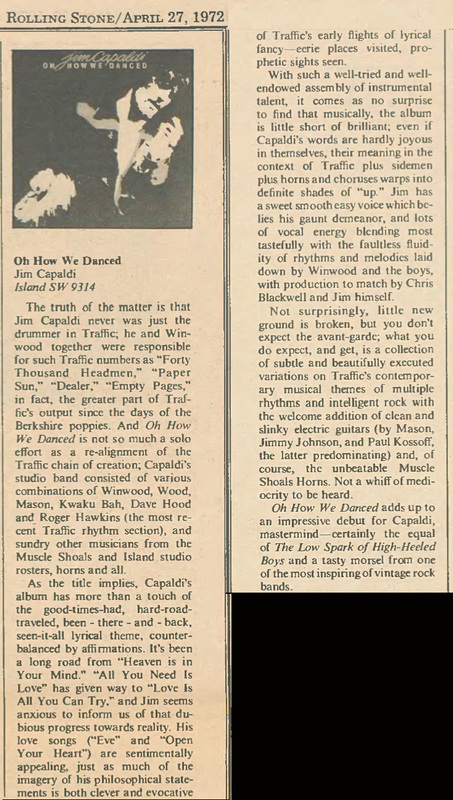 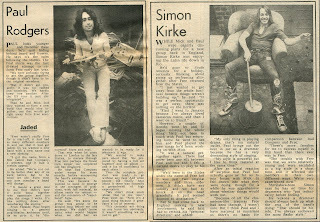 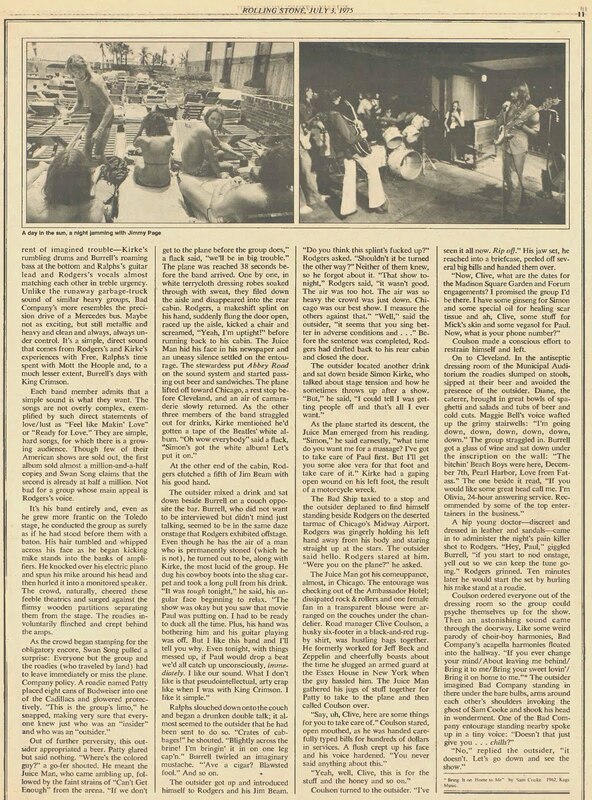 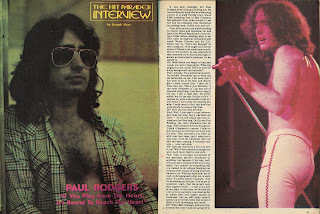 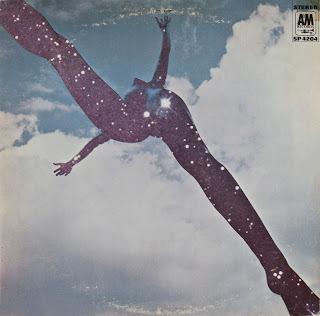 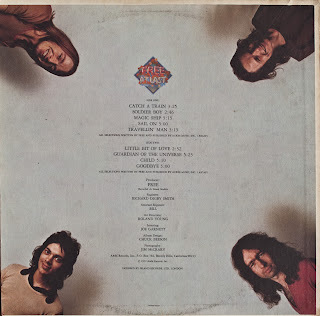 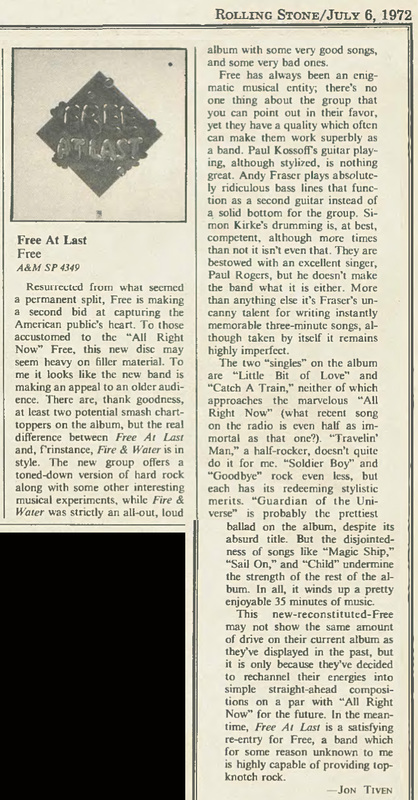 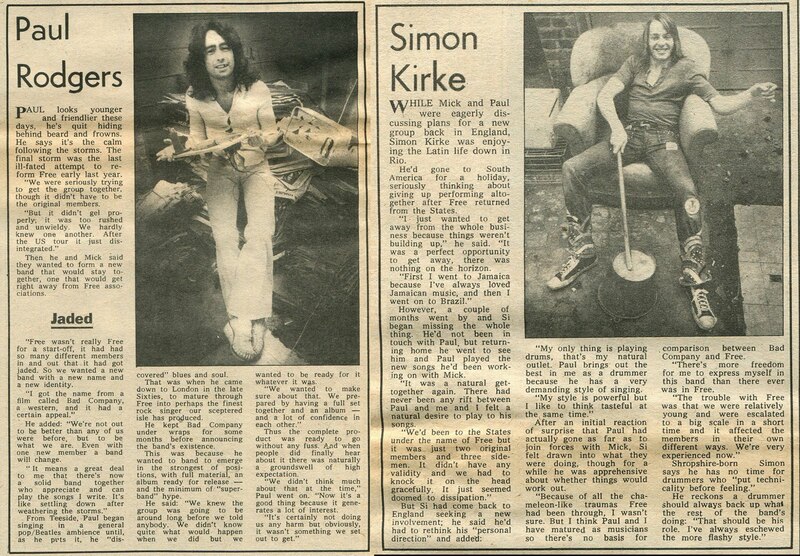 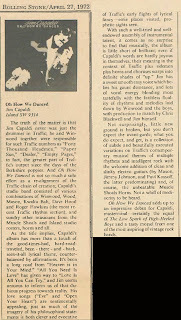 of that album from July 1972.
solo album and future plans. 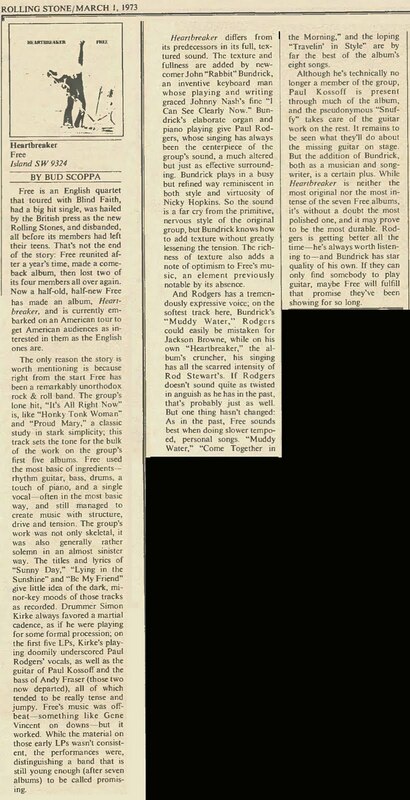 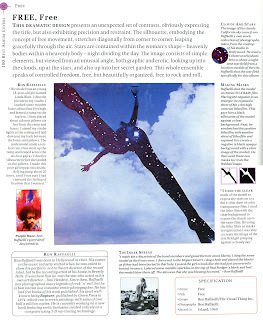 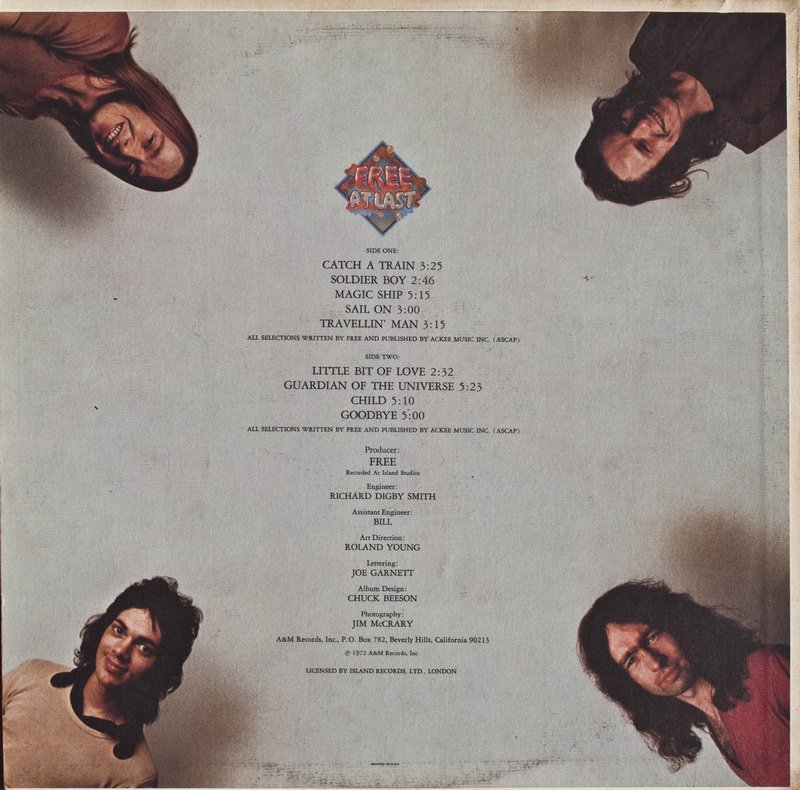 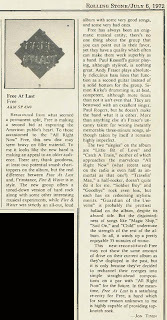 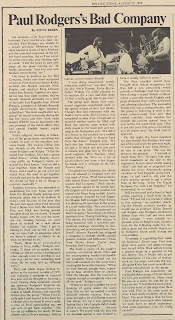 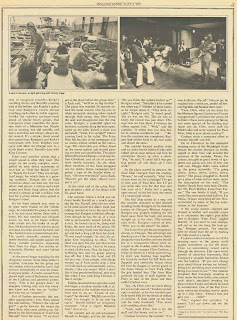 press after only one album and one single. 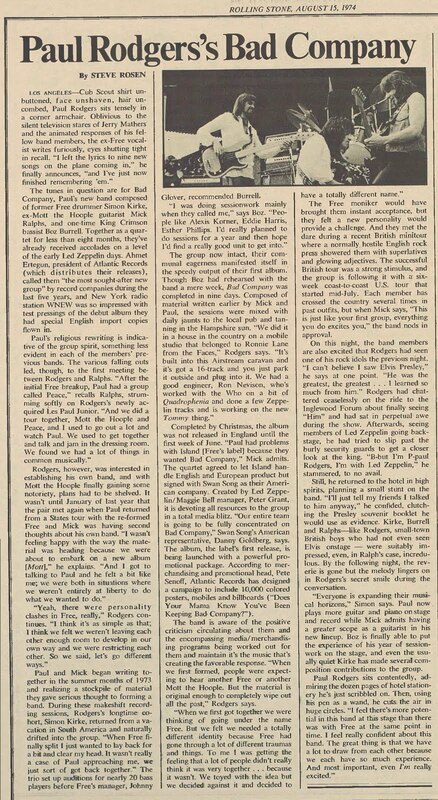 manager, Peter Grant, than the music itself. 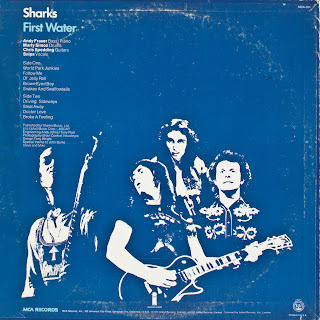 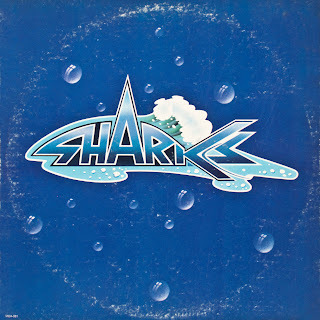 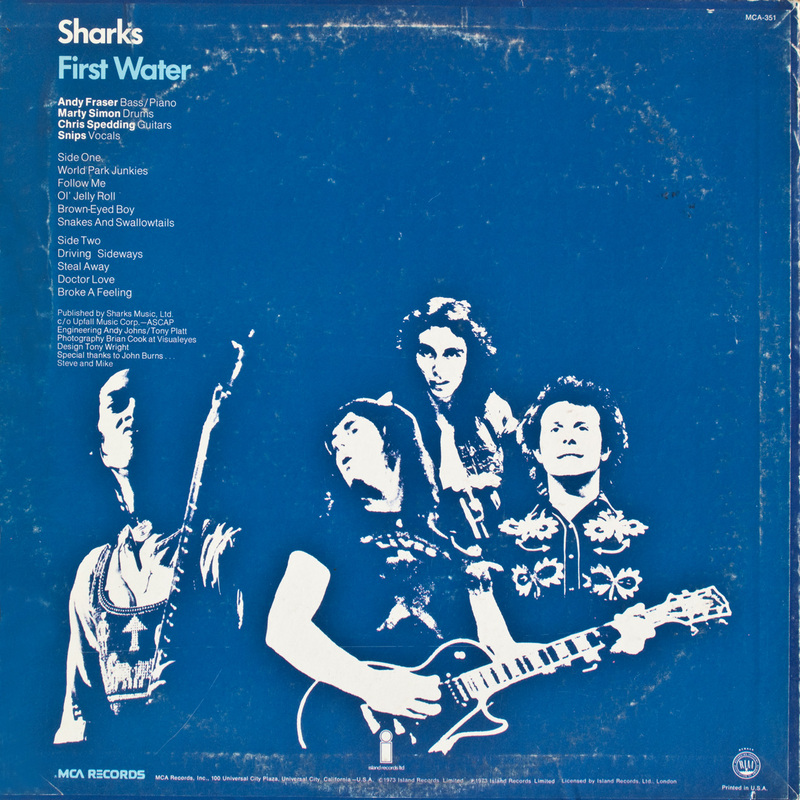 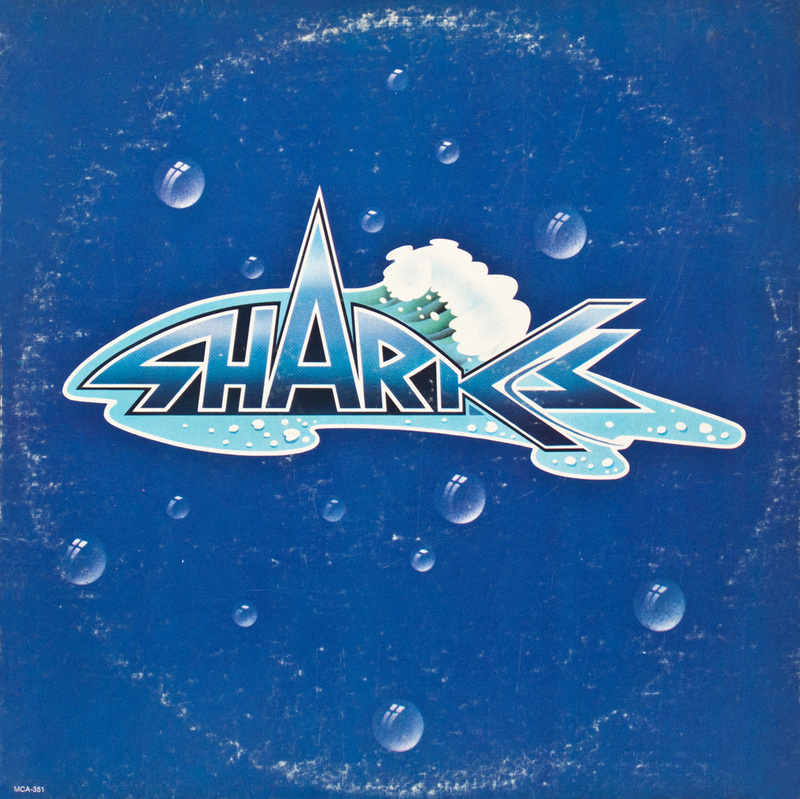 one album with The Sharks. 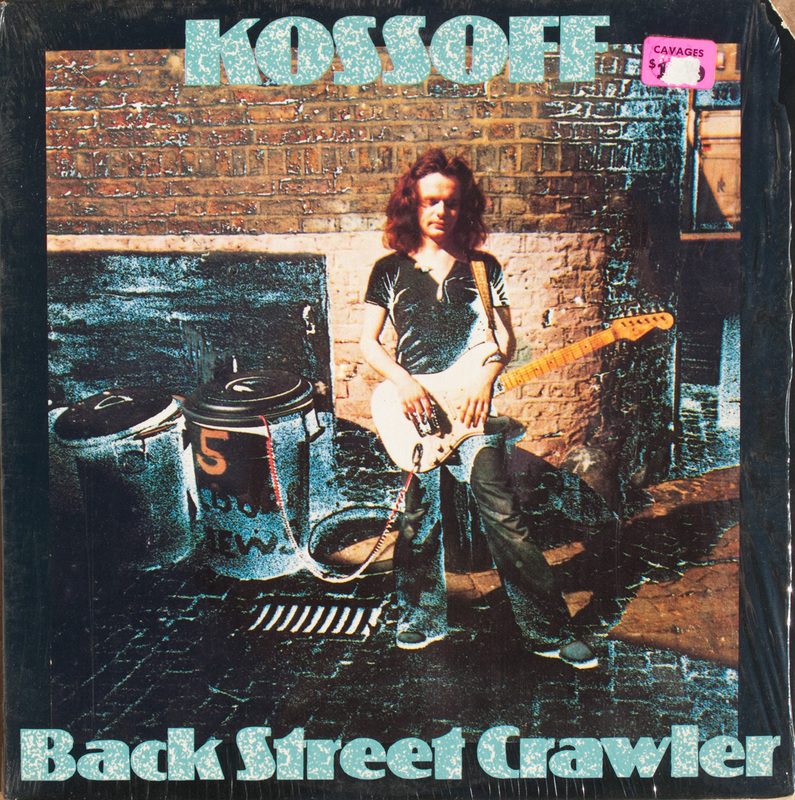 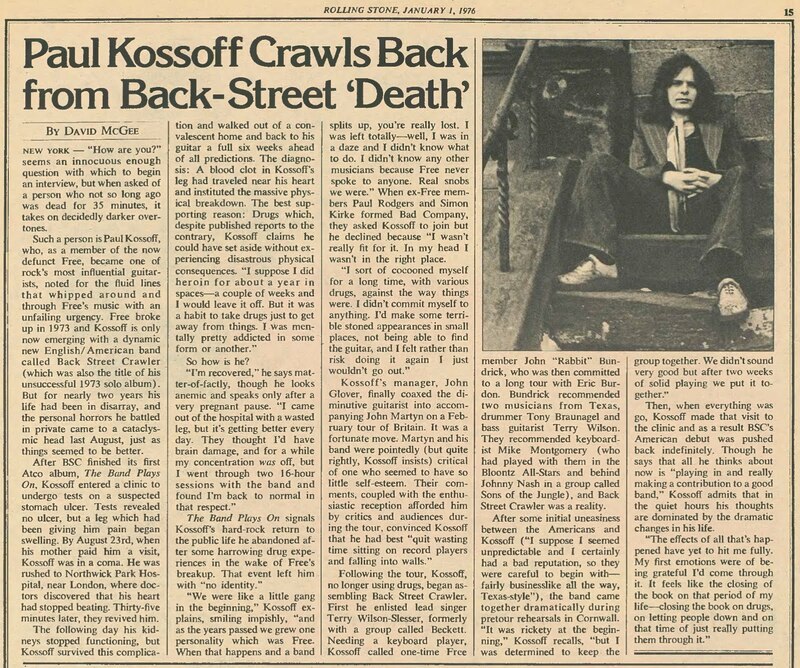 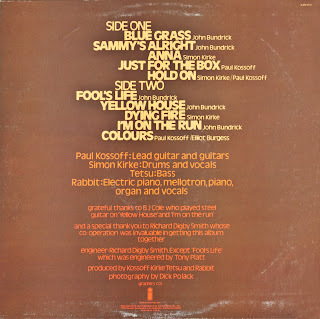 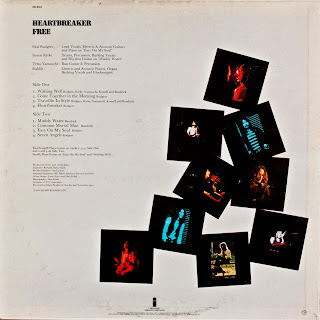 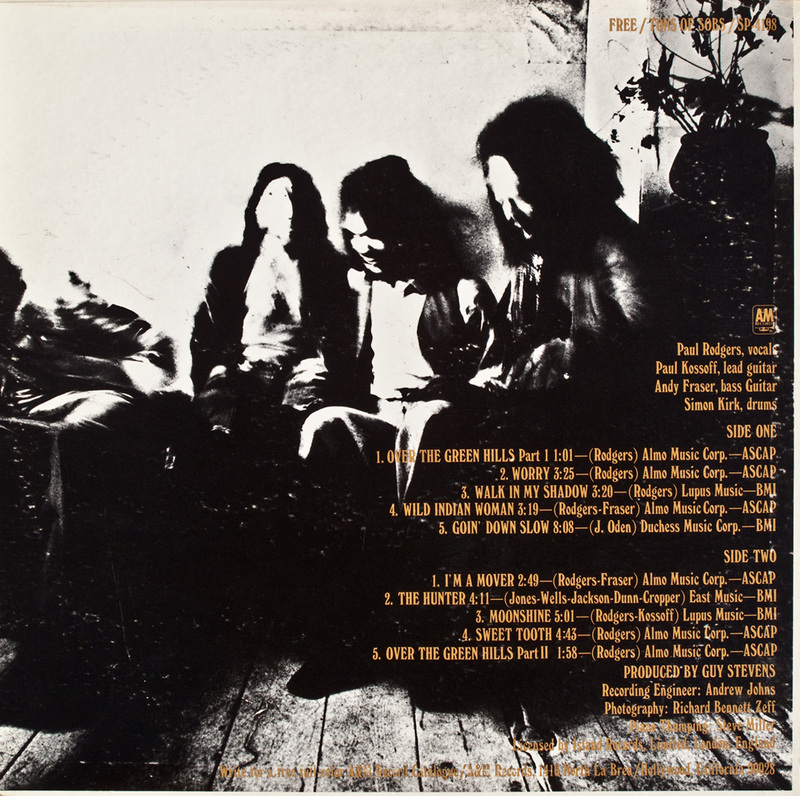 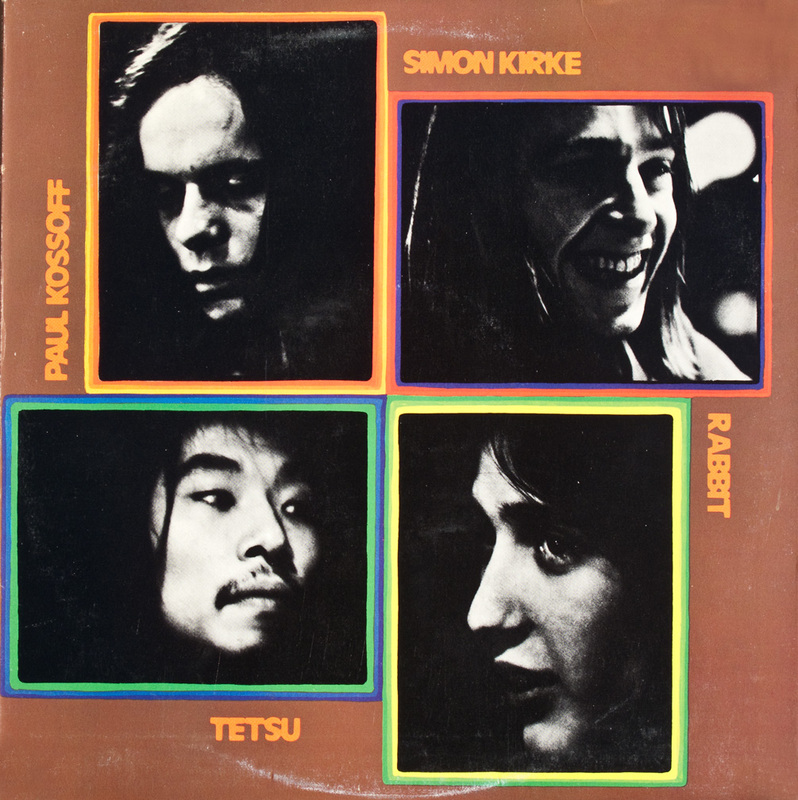 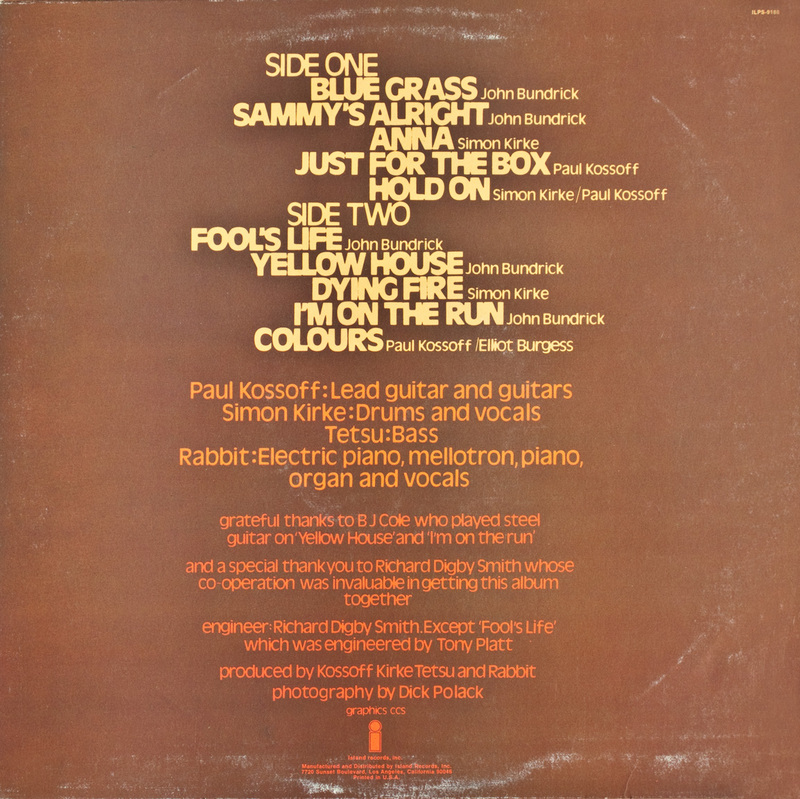 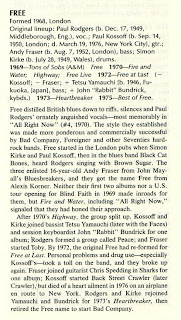 Paul Kossoff's "Back Street Crawler"
with some highs and lows. 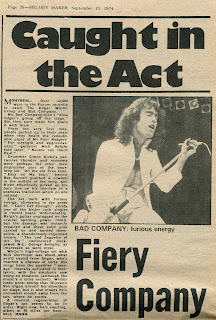 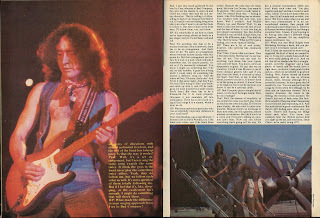 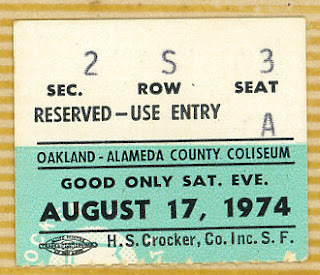 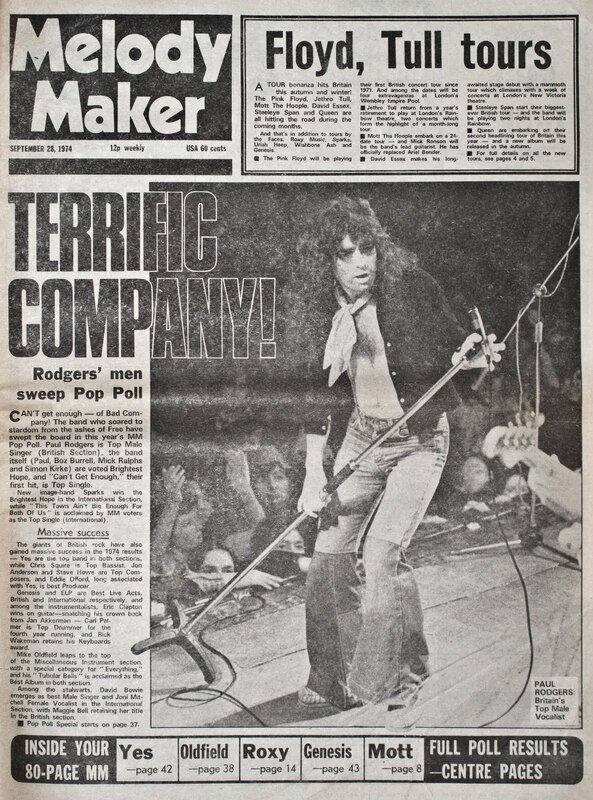 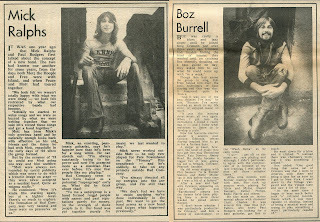 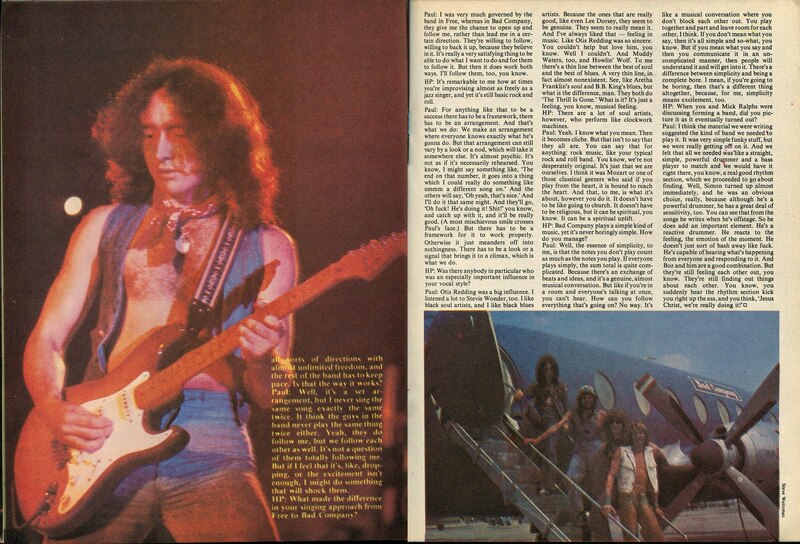 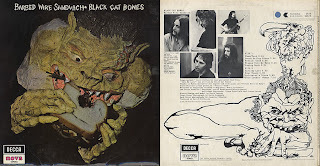 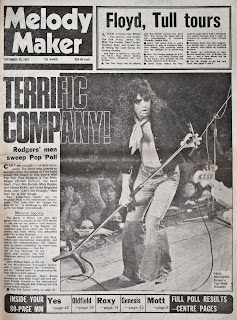 Hit Parader" in November 1975.
and a half months later. were in Black Cat Bones. 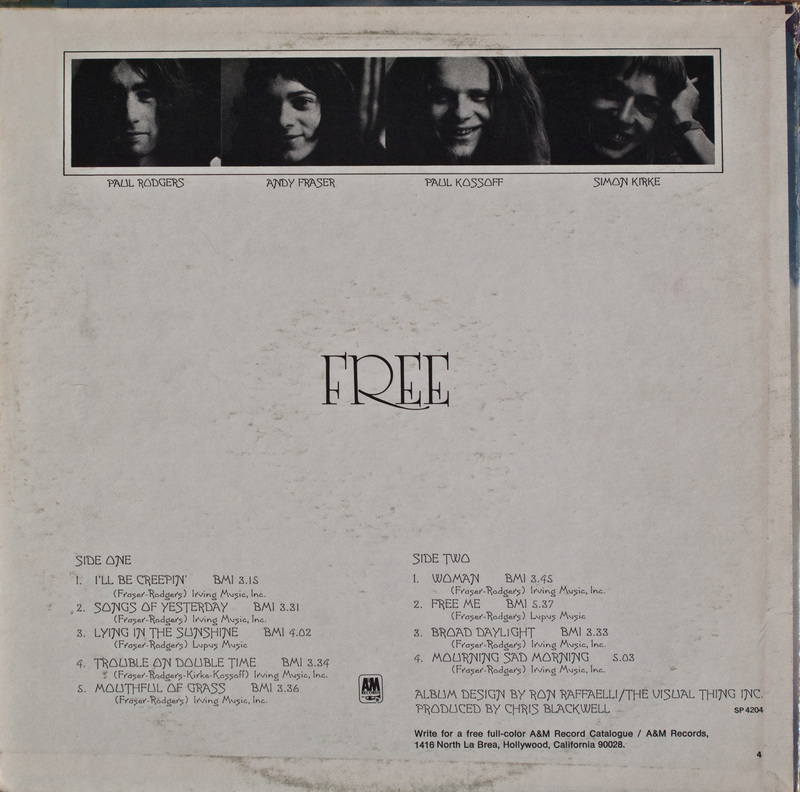 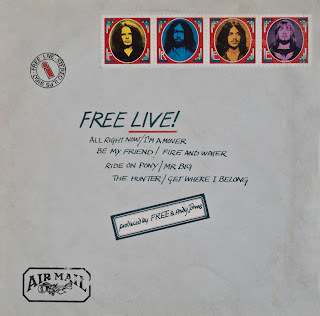 Their second album was just titled "FREE". 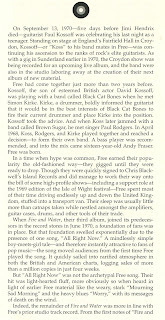 Even with their success the band split. had the band photos attached like real stamps. 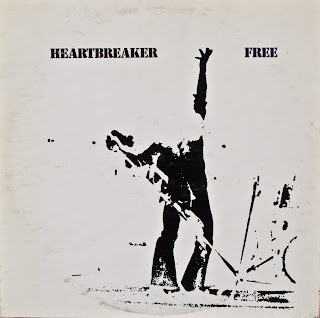 of their last album, "Hearbreaker". 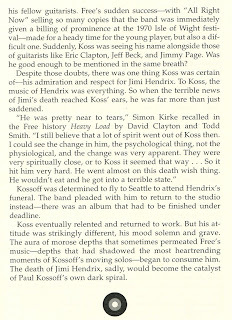 help from the other members of Free. 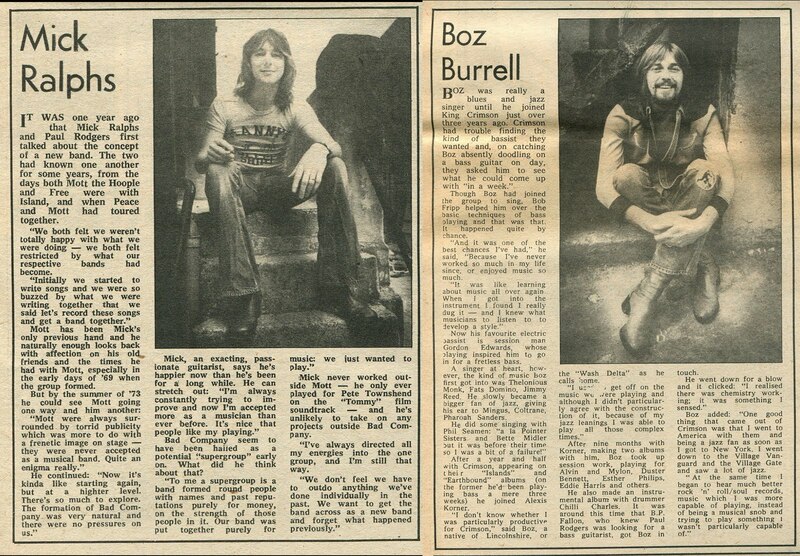 and released one album in 1976.
at the age of 25. 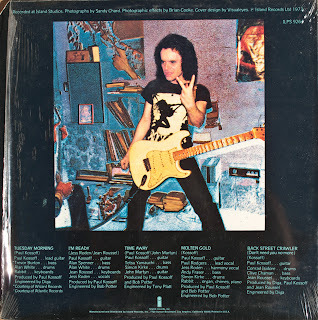 Rock & Roll". 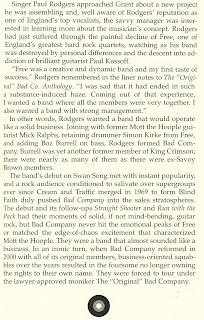 Published by Citadel Press 1995. Links to other related sights.